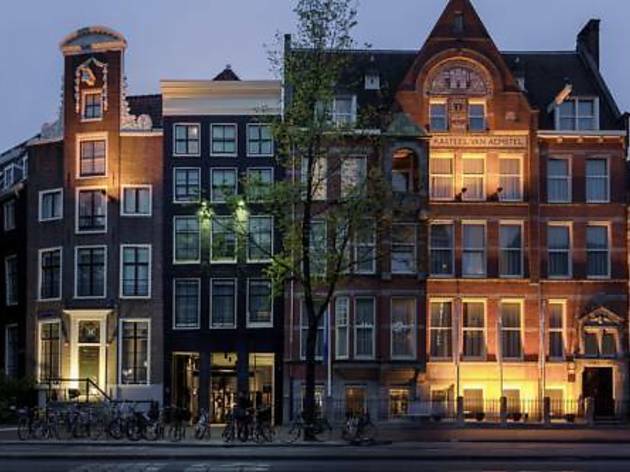 Amsterdam's hotel scene excellently runs the gamut in terms of style and offerings. 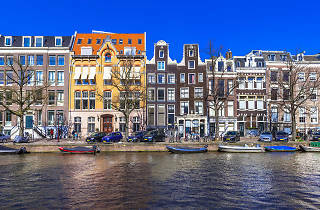 It converts 18th-century canal houses into five star hotels, dormant bridge houses into playful suites, and old printing factories into boutique hotspots. 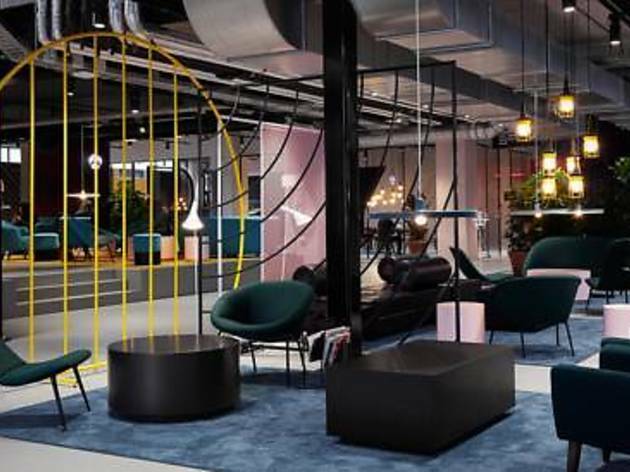 It takes imposing modernist buildings and fills them with Instagram-worthy settings, from cool co-working spaces to the hottest new restaurant in town, housed in a beautiful hotel. Whatever your budget, your reason for visiting, your need or your location, you’re guaranteed to stumble upon a little—or not too little—hospitality gem. 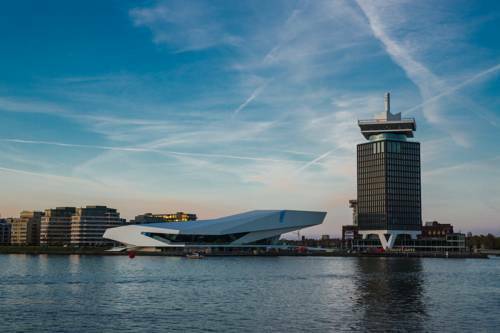 To save you time that you’ll later use at the best coffeeshops in town, visiting the top local museums or browsing through a sea of must-see attractions, we rounded up the best hotels in Amsterdam right now. 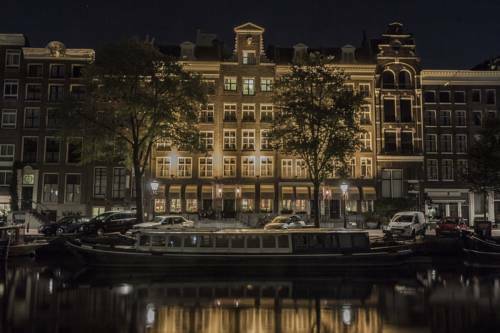 What is it: Renovated as recently as 2016, this 225-room hotel is nestled within 25 otherwise unsuspecting canal houses on the picturesque Prinsengracht. Stylish but modern interiors offer a soothing respite after a day of city exploration. Why go: Located in the trendy Nine Streets neighbourhood, Hotel Pulitzer offers its own secret world to guests: from the tranquil inner garden and sunny atrium to a slicker-than-your-average salon boat that will take you canal cruising, champagne in hand. 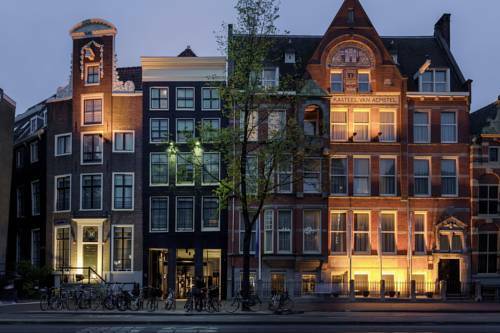 What is it: With a reputation that precedes it, the 111-room Amsterdam outpost of this boutique hotel chain was the former home of the mayor, so you know it’s got the location and it-factor boxes checked. 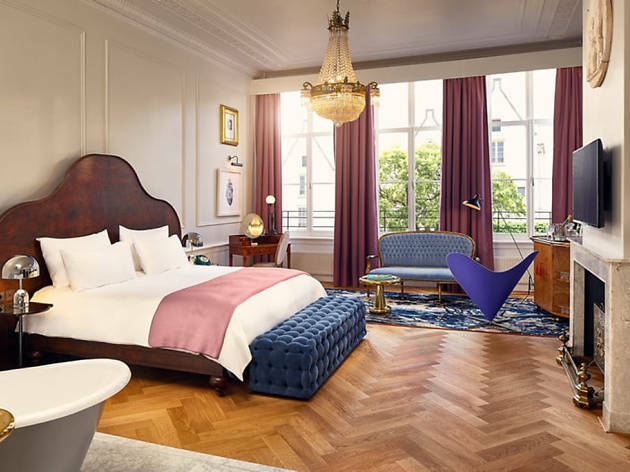 Why go: This is the place to stay for business travellers who don’t want a run-of-the-mill business hotel. The service is always top-notch, the lobby is always full and the restaurant menu always satisfies a craving. 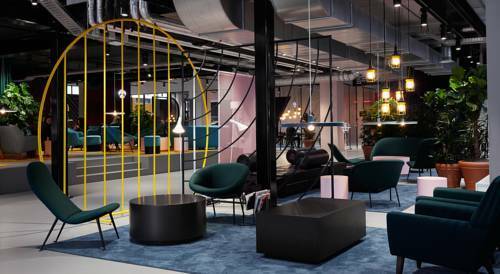 What is it: An achingly cool waterfront hotel inside the iconic ADAM Tower, Sir Adam offers a slick design, unexpected perks and, of course, an in-room record player to its in-the-know guests. 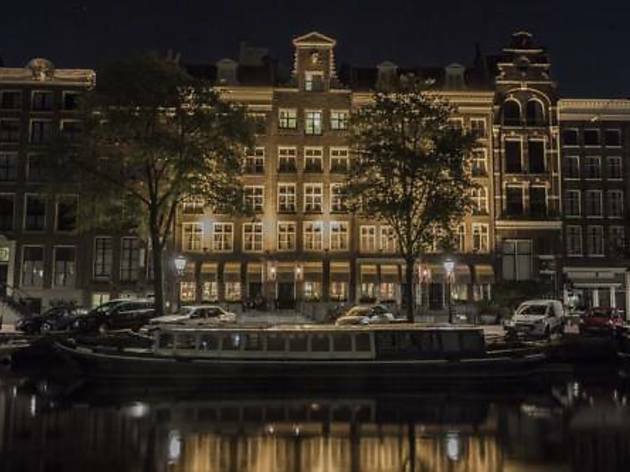 Why go: The hotel will pair you up with one of its handpicked hosts to take a sound bowl meditation class, cruise the canals on a luxury liner or learn how to hand-roll a joint (this is Amsterdam, after all). All in all, it makes for a brag-worthy experience. What is it: This space housed a printing press in a past life but now offers a temporary home to students keen on experiencing on-campus lifestyle—think ping-pong tables and a communal study room—while not, err, on campus. Why go: It’s not just for students—book as a hotel guest or nab a competitive rate for a short stay (anywhere between two weeks to a year). Skip the study space but enjoy the other perks, like an on-site pool and designer bikes available for rent. 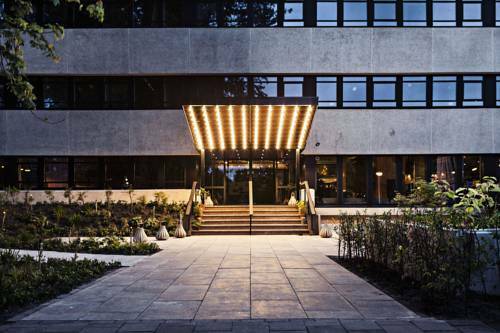 What is it: The striking, modernist exterior opens up to reveal a warm and inviting hotel fusing a mid-century aesthetic with contemporary sensibilities. The Lobby, the hotel’s buzzy in-house restaurant, draws locals and travellers alike. 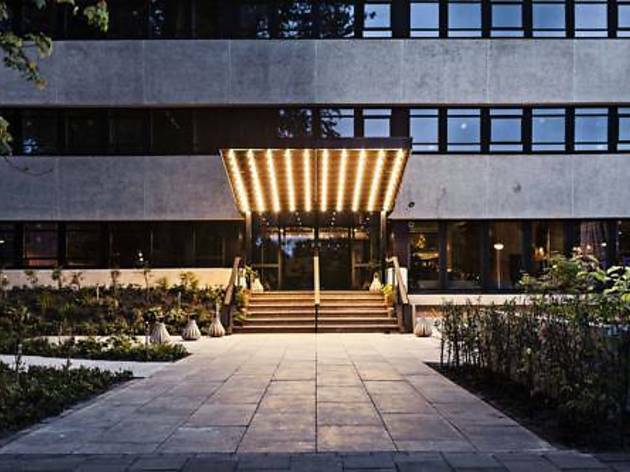 Why go: This hotel offers a lush, green and, for some most importantly, a quiet neighbourhood setting that doesn’t sacrifice quick and easy access to the city center and canal belt. 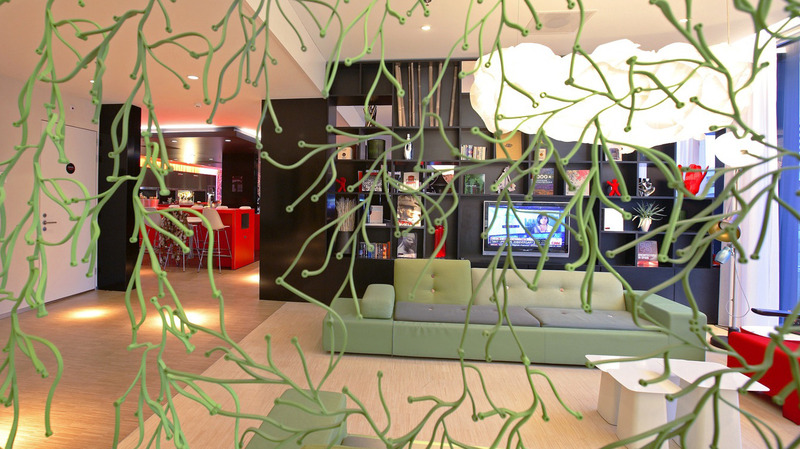 This is our pick of the Hotel V bunch. What is it: An urban space project that kicked off in 2012, Sweets is a deconstructed hotel spread across 28 individual rooms. 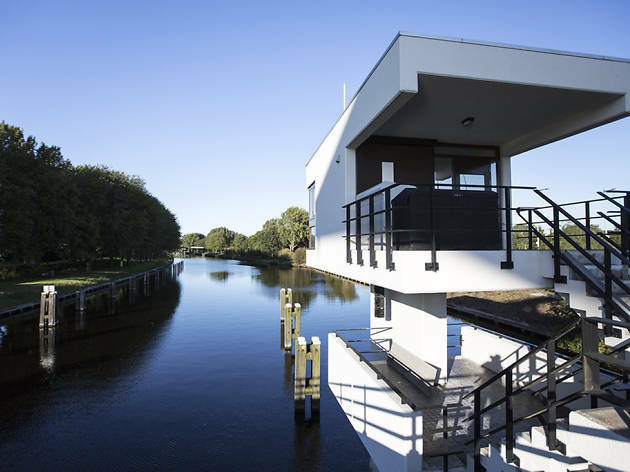 Disused bridge houses have been converted into plush hotel suites with prime access to Amsterdam’s best attractions. Why go: Dotted throughout the city, each suite is a little bit unique but each one offers the creature comforts you’d expect from a hotel. 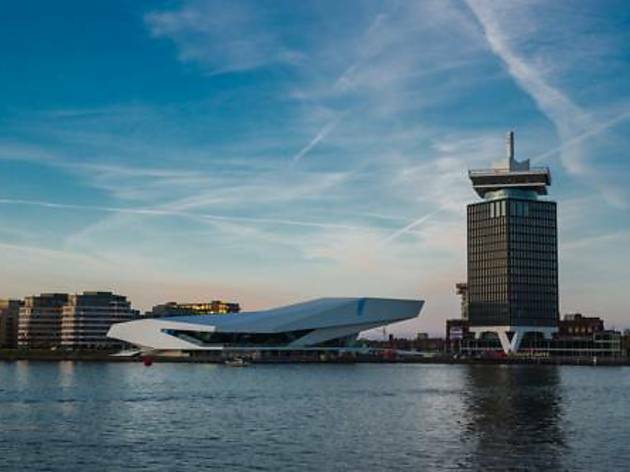 Tinged with history and import, some are national monuments. 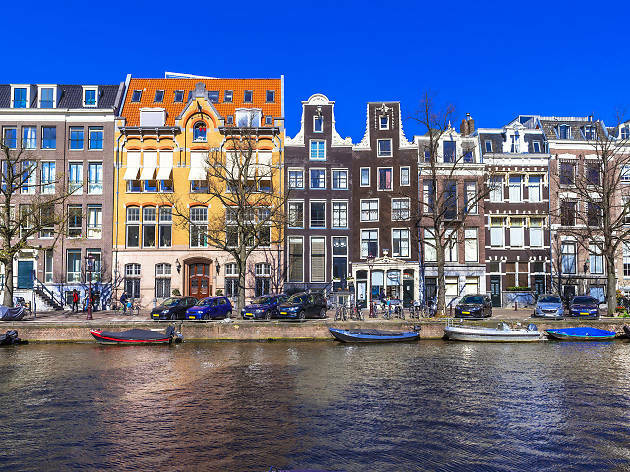 All boast unbeatable canal-front locations. 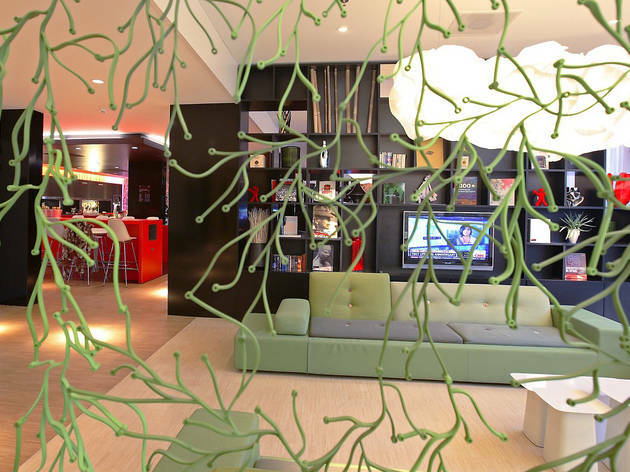 What is it: Airport hotels have a reputation for being sad, transient places—but this one certainly isn’t. Stripped of the fancy trimmings but offering a 24/7 open kitchen, well-appointed lobby and a tidy selection of meeting rooms, it makes layovers bearable. Why go: The price is right, the movies are free and the bed is huge (like, really huge). With blackout blinds and ambient lighting, each one of the hotel’s 355 rooms does a good job of helping you combat jetlag. 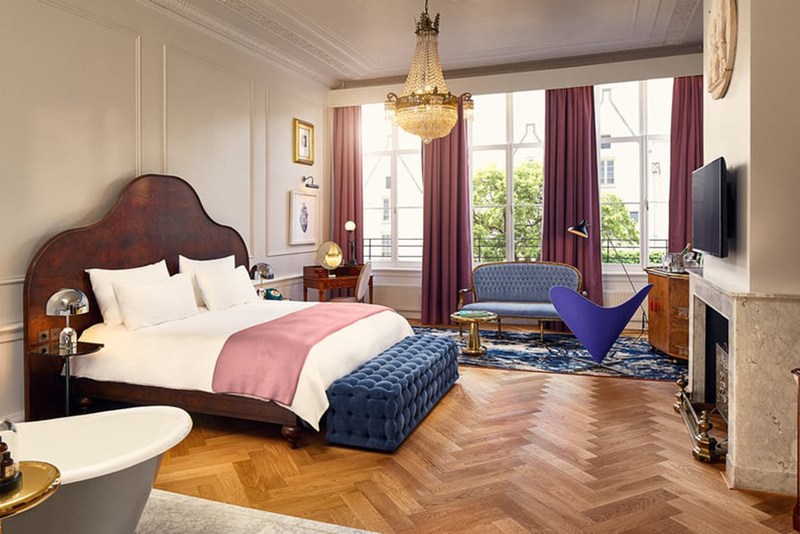 What is it: Part of Sofitel’s luxurious M Gallery series, the INK Hotel—a name that honors the building’s origins as a newspaper office—is a trendy, 149-room “bohemian lifestyle hotel.” Translation: this is the kind of place you’ll hope to call home every time you’re in town. 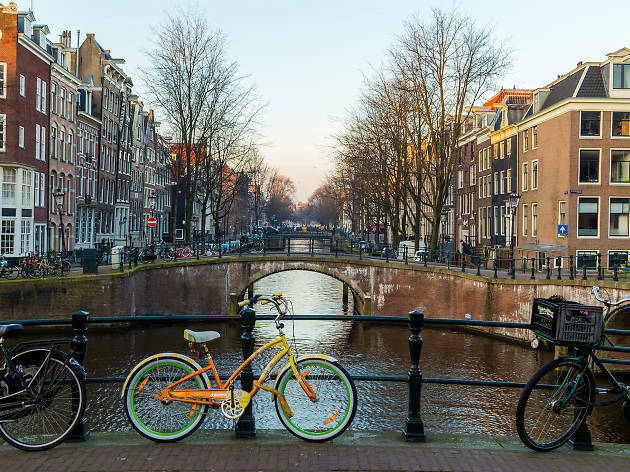 Why go: Conveniently close to Central Station but quiet enough to permit languid sleeping in after a big night out, it’s an ideal base for a quick city break. 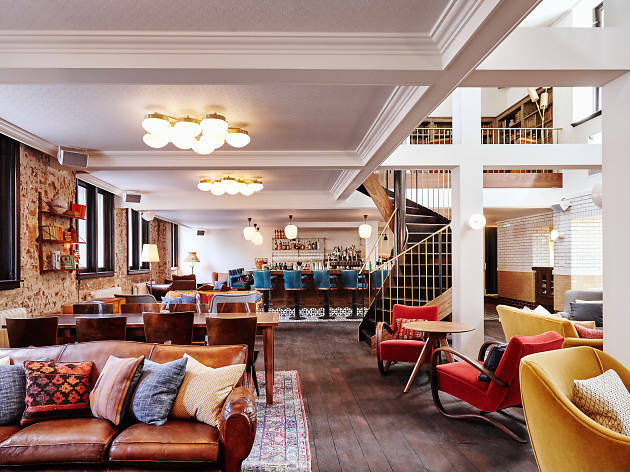 What is it: From humble beginnings as a World War II-era guesthouse to its present status as one of the city’s best boltholes, this family-run hotel has stayed true to its roots: it’s warm, inviting and just a little bit quirky. Why go: Grab a drink at Maria’s Bar and find yourself wrapped up in conversation with the hotel’s kind and charismatic staff. You’ll feel totally at home and may even forget that, eventually, you’ll actually have to leave. What is it: Perfect for the traveller who’s prone to a bout of homesickness, Zoku’s short- and long-term stay concept revolves around creating customisable, “home away from home” lofts. Each one is equipped with a kitchen and you need only step outside your door to restock from the complimentary pantry on each floor. 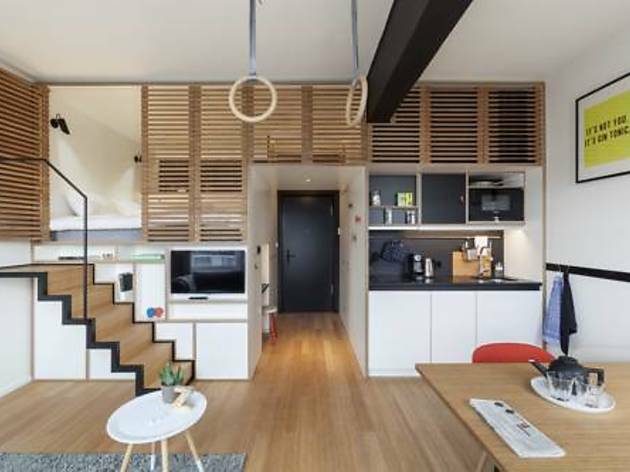 Why go: If you’re riding solo and are keen to make new friends but shacking up in a hostel doesn’t pique your interest, the rooftop bar and restaurant have an easygoing, familiar vibe that will make you want to actually move into Zoku. 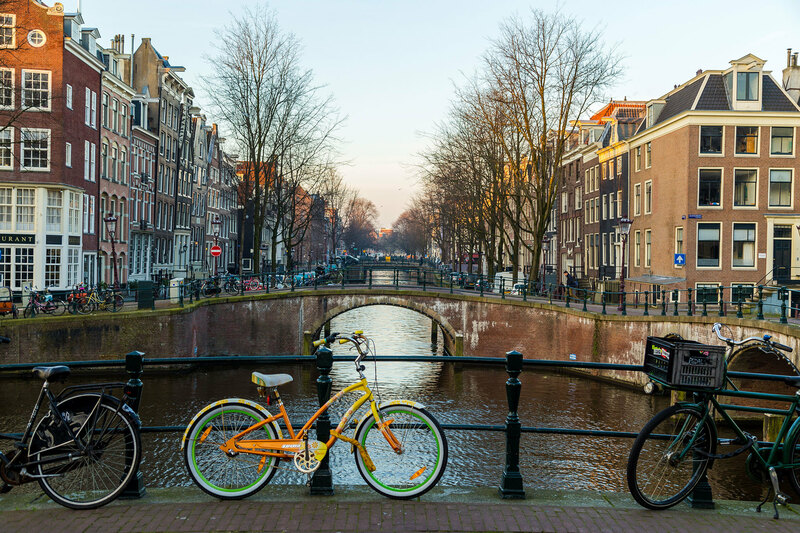 With many of the best attractions located in and around the compact city centre, it’s easy to hop on a bike and see most of them in a few days—cycling is also the best way to soak up the city’s unique atmosphere.